Wow, two days to go and I’m very excited. The feeling of driving a car, your car, is something that cannot be described to non-car people. But to me, as a car enthusiast, it’s a sense of freedom and unity between man and machine. Raw power and metal taking me away from the outside world, the daily grind, and the somewhat toxic world we live in. Classic Adelaide 2016 is shaping up to be the biggest yet. Over 150 cars are now getting polished, prepped and tweaked in preparation for the Thursday start to the rally. My own car, one of Volvo’s finest new car releases, the S60, is in for its own little treat. 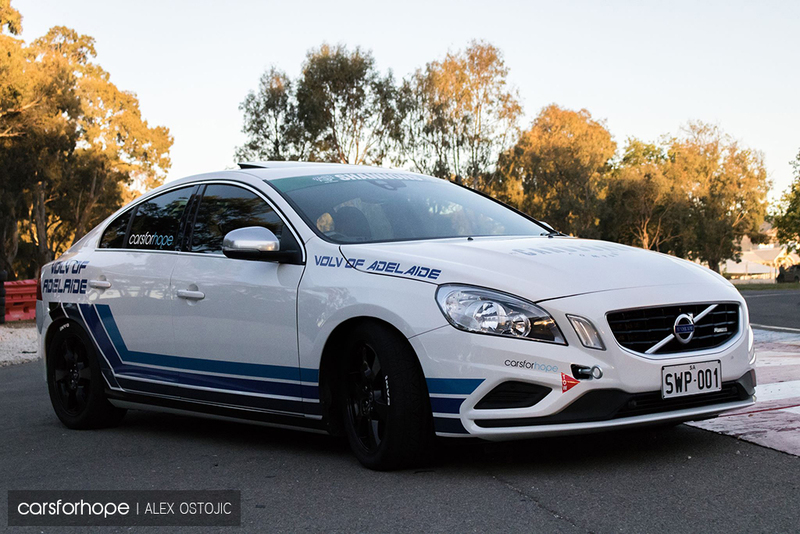 It will run a retro stripe package like the 2016 GRM S60 V8 Supercars. This livery was last seen on historic Volvo Racing cars of yesteryear. 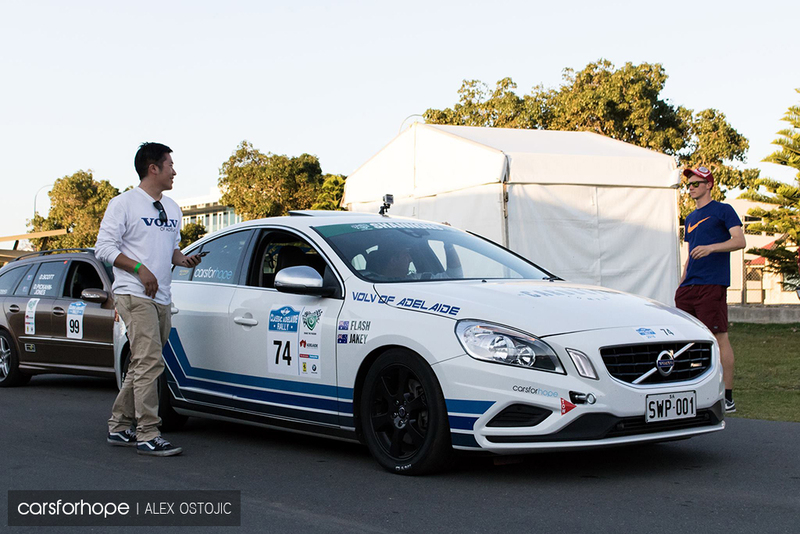 Volv of Adelaide is looking after the maintenance of the car, and tomorrow the car will be complete and looking fresh. So I’m Gordon; 22 years old, having just completed university, and still living at home. My navigator is Jacob or “Jakey” as we call him, who drives a Subaru WRX Wagon. He’s a very smooth driver who will be guiding me through the stages over the course of the event. We’re both from ‘Radelaide’ and can’t wait to see what the event brings! 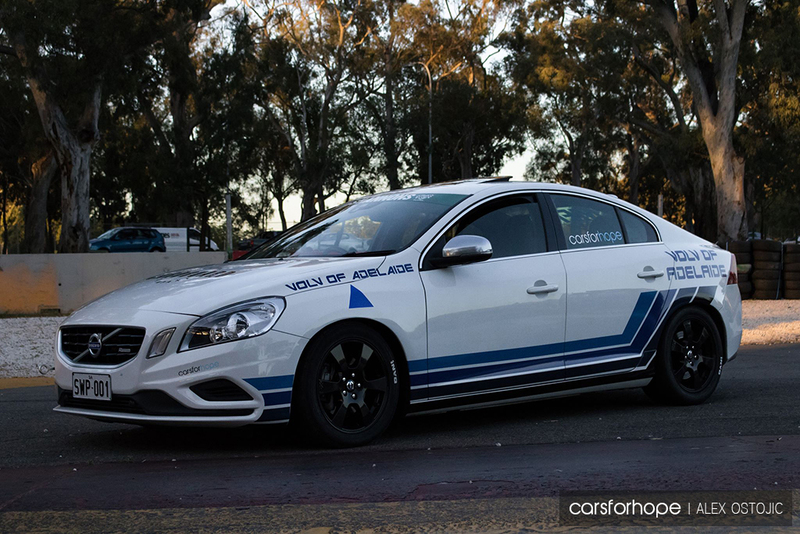 My car is a 2011 Volvo S60 T6 R-Design. Volvo shoehorned their 3.0L turbo straight-six, mounted East-West, into the engine bay, as well as the latest Haldex AWD offering. It’s a well-packaged answer to some of the high performance mid-size sedans that Germany dominates with. Well-built, reliable, safe and with performance to boot, I was sold the first time I went for a drive. The response of the twin-scroll BorgWarner huffer is addictive and the comfort at any speed is unrivalled by anything I have driven prior. Eight hours to Melbourne and no backache? Yes please! Classic Adelaide will be such an amazing time. I want to share the experience of seeing a Volvo flying around at full noise with the Varex on straight pipe mode. It is pretty unique. Ever since watching the night stages back at the Wayville Showground when I was younger, I’ve wanted to join in on the Targa fun. It looked like awesome fun for a car nut, and I’m stoked to be given the opportunity to have a go myself. Closed roads amongst other nice cars; it couldn’t be greater! 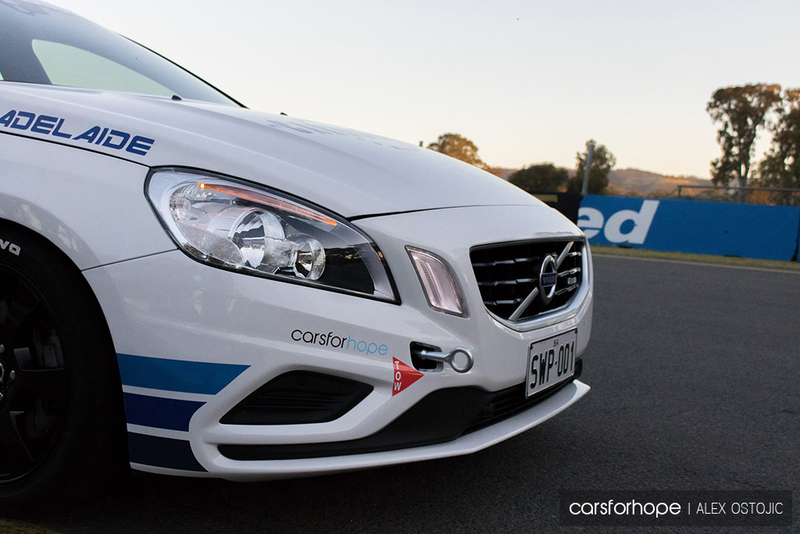 When I finally decided to get the ball rolling for Classic Adelaide 2016 and started approaching people within the industry, Cars For Hope was an organisation that I really wanted to get involved with. 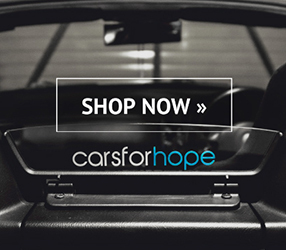 To me, Cars For Hope is a new discovery that I stumbled across one late night trawling online. I ended up looking into and reading an article that was posted, and what a touching subject it was. I then read into the organisation, and loved every bit that I read. This is something we need in the environment we play in. The car scene gives us so many outlets, yet there are so many places to hide. This isn’t ideal for our feelings or mental wellbeing or even for the people we are surrounded by. Is it uncool to show who we are or how we’re feeling? Or is it because we don’t want to show weakness or let other people down? 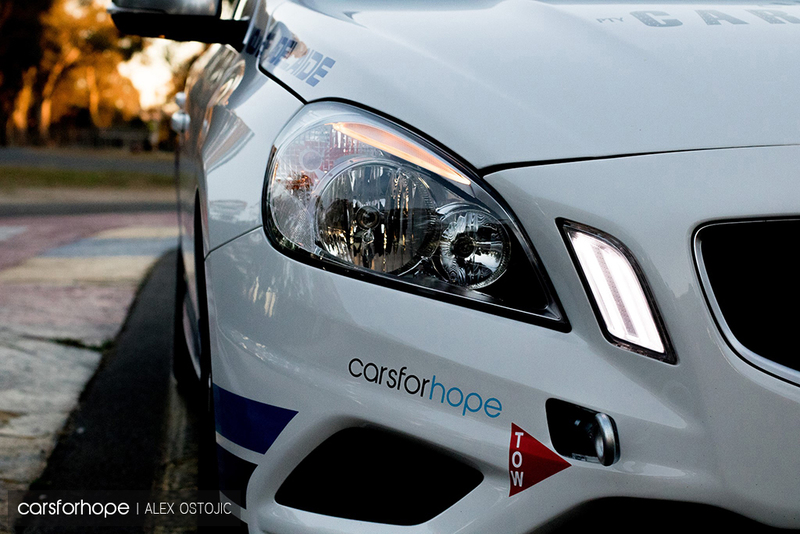 Either way, Cars For Hope is leading us down the right road of how to open up about this taboo topic. We all need a friend, a shoulder or an ear to prop us back up. Because sometimes everything is not OK.
“It’s OK to not be OK” is something a good friend once told me. By accepting this small phrase, it worked as a stepping-stone for me to begin to look at how to make things better. What are the issues that need changing, or how can I move forward. We each have our own stories. 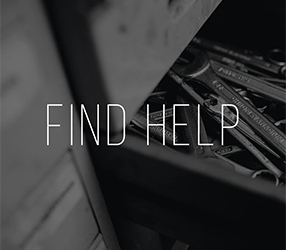 Cars For Hope recognises the hard times and the struggles we all face. By parking the organisation into the middle of the car scene, they’re telling everyone they aren’t alone. Classic Adelaide saw Team Volv of Adelaide lined up amongst lots of unique rides, exotic sports cars and supercars. The sounds of them idling before we set off was an experience in itself. Our first day took us straight to the Adelaide Hills, with Jacob Richards as my navigator. Boy was it fun to stretch the legs of the Volvo as we climbed these amazing roads, darting from one side of the road to the other, chasing Daniel in his E55 AMG Estate. Our packet of Tour cars was mainly European with some rare metal from a Lancia Delta Intergrale, to an E92 BMW M3 coupe. It was a great sight to see so many people coming out to stand on the side of the road to cheer us on and snap some fantastic photos. The Street Party on Gouger Street that night was always destined to be one of the highlights of the entire event. Being able to drive down the street and park up in front of thousands of people was guaranteed to be something special. For my sponsors and Cars For Hope, it was great to get the brands out there. The car was looking so clean and with the livery applied, she definitely stood out. A heap of my closest car buddies all came out to share this incredible moment with me. Being able to do it with them made it all the more special. The final day of Classic was much more relaxed than the day before. A couple of stages had been cancelled due to extreme weather in the months leading up to the event, causing the closure of a couple of the roads we were due to use. This meant that we had a quick squirt up Gorge Road before stopping for lunch at the Birdwood Motor Museum. The final stages throughout the day were dotted around the Adelaide Hills, cementing the reputation that we have some of the best driving roads so close to home. The final hills stage was Greenhill Road, one of my favourite roads to drive up. Ending just shy of the Mount Lofty Lookout. With residents and enthusiasts lined up to watch the stage, it was one of the highlights of the Classic Adelaide. It was a great way to finish the hills stages which brought us back to the Adelaide City parklands for the Victoria Park Sprint. The Adelaide Motorsport Festival was held over the same weekend as the Classic Adelaide, with sprints happening at the Victoria Park track. This event also extended to the Sunday for more racing, but the Classic Adelaide utilised the track for the final two deciding stages on the Saturday night. This meant the Tour classes were allowed two runs on the closed Victoria Park stage. What another fantastic opportunity to showcase the car and the people who were supporting us. On the closed parklands section of the Clipsal 500 racetrack, this was a breathtaking experience. The Classic Adelaide was a fantastic way to experience your own car in a closed road environment. Something a car enthusiast wishes they could probably do more often. However being a part of an event such as this was an experience of a lifetime. I will definitely be back to participate in future years. 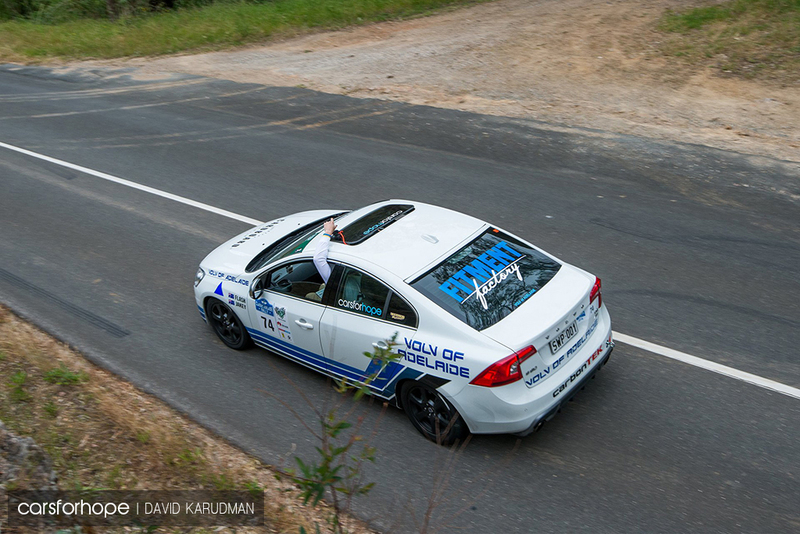 Thanks to my sponsors Creative Cardboard, Fitment Factory, CarbonTek and especially our team sponsor, Volv of Adelaide. 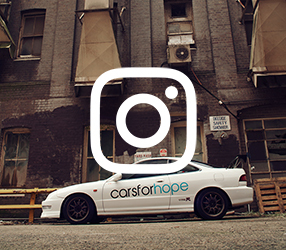 But also thank you to Cars For Hope for supporting our Classic Adelaide 2016 experience, and allowing me to help spread the message of hope for the greater good. It’s something that needs to be reiterated as much as possible to see change happen. I loved being able to showcase the organisation in the very environment that makes cars so special to me. Until next year.